Unlike college, you have to do your own homework for March Madness! 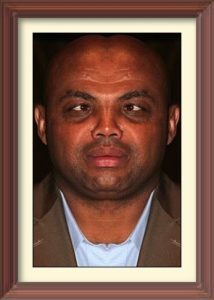 Basketball, USA – Your FM Observer has asked our friend Sir Charles Barkley to help our loyal readers with their March Madness bracketology. FMO: Sir Charles, how can you tell the difference between a winning team and a losing team? CB: ​Well, the main difference between a winner and a loser is if they win or not. FMO: How does this year’s tournament compare with previous ones? CB: I think this is the hardest tournament to predict because we don’t know any of the results yet. FMO: Why is it so difficult to pick all the winners correctly? CB: Because the number of different combinations of winning teams is way up in the thousands. FMO: What is the main “IF” in a basketball game? CB: Some say “IF” is the injury factor, but I say if ifs were gifts, every day would be Christmas. FMO: Do you have a message for the NDSU Bison fans? CB: The best way for your Bison to do well is to use the power of the herd, by stampeding the competition down into the ground, and never look back.